Dr. Mary Rose Norell, Dr. Luke Norell, and Dr. Daniel Lin have agreed to serve as the three-person panel of judges for this competition. Dr. Mary Rose Norell is the director of the Community School of the Arts located at the Goshen College Music Center, and Dr. Luke Norell is the Community School of the Arts piano program director. Dr. Daniel Lin is Assistant Professor at Indiana Wesleyan University, and brings an impressive résumé of international performances and prizes to his credit. 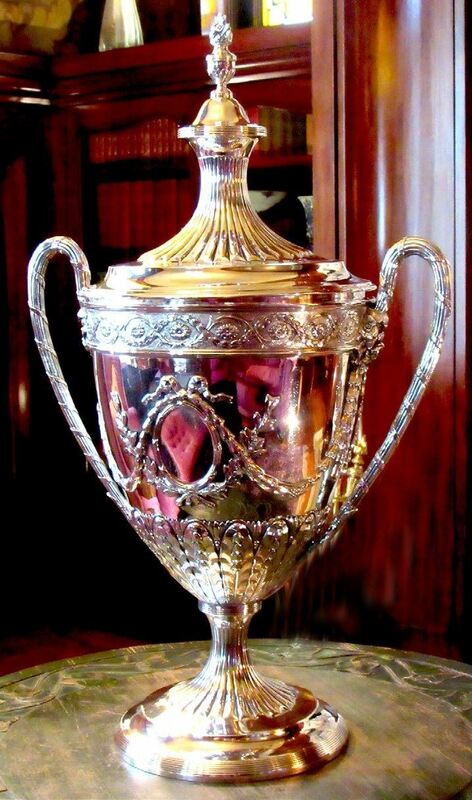 The Beardsley Cup, composed of sterling silver and manufactured in 1907 in London, resides in a new custom built display case with the names of the winners of the Beardsley Competition. The inaugural recipient in 2017, Nicholas Roth, was named in recognition of his long devotion to Ruthmere and its Fall Concert Series. The 2018 winner was Nicholas Susi from Duluth, Minnesota. Please contact Ruthmere Museum at (574) 264-0330 ext. 107 if you have any questions regarding the competition or the entry requirements.